Vancouver mortgage rates are some of the nation’s best thanks to high home prices and aggressive competition from mortgage brokers and credit unions. These are the lowest Vancouver mortgage rates from providers with offices in or near the Greater Vancouver Area. For rates elsewhere in the province, check the best rates in BC. Mortgage Market Overview: With the highest home prices in Canada, lender and mortgage brokers compete fiercely for borrowers’ business. Key lenders in the city include the Big 5 banks, HSBC and the big credit unions, Vancity, Coast Capital Savings and First West. The greater Vancouver area has the highest concentration of mortgage brokers outside of Toronto. Vancouver has the biggest mortgages in the country, but it also has the biggest down payments of any city in Canada. That’s because its high-priced homes often cannot be high-ratio insured (due to the $1 million federal cap), and because of its large foreign homebuyer segment. (Overseas buyers tend to make large down payments or buy all-cash). 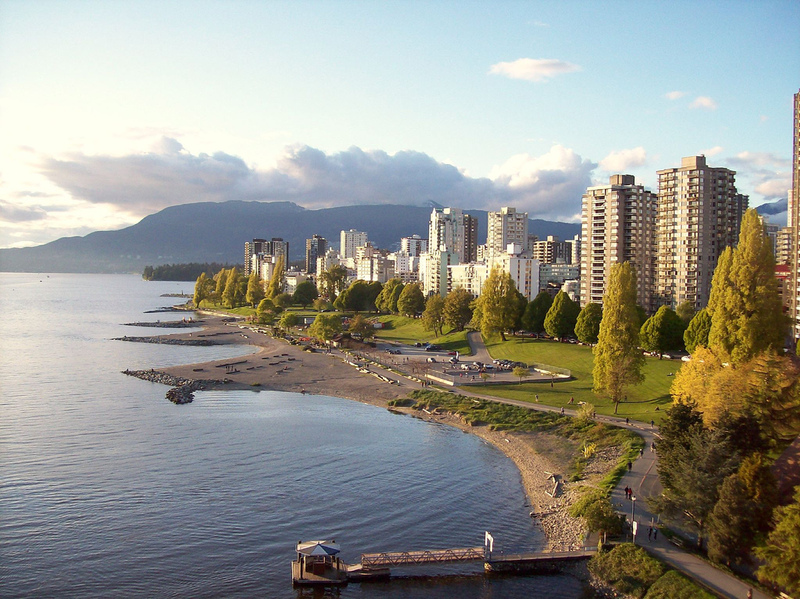 City in Brief: Vancouver is British Columbia‘s largest city and the eighth largest in Canada (although, the Greater Vancouver Area ranks as the third largest metro area in the country). More than 50% of Vancouverites have a language other than English as their mother tongue, making the city one of the most ethnically and liguistically diverse in Canada. With a density of nearly 5,250 people per square kilometre, Vancouver is Canada’s most densely populated city. It is consistently ranked among the world’s most livable cities, in large part due to the city’s integration with its surrounding natural landscape. Vancouver attracts visitors from all over the world and counts tourism as its second-largest industry.